Why should you go on a mission trip? Or, if you are a parent of a middle school or high school student, why send your youth on one? Mission trips give us an opportunity to step outside of our comfort zone, build lasting friendships with fellow missioners, learn about God’s heart for people, and obey Jesus’s command to love our neighbors as ourselves. Mission trips teach us empathy, leadership, and teamwork, and help open our eyes to see God working in our world today. We know there are many worthwhile service trips, camps, and jobs for youth to participate in over the summer. But we invite you to prayerfully consider reserving one week this summer to join us for a mission trip. You never know what God will reveal! 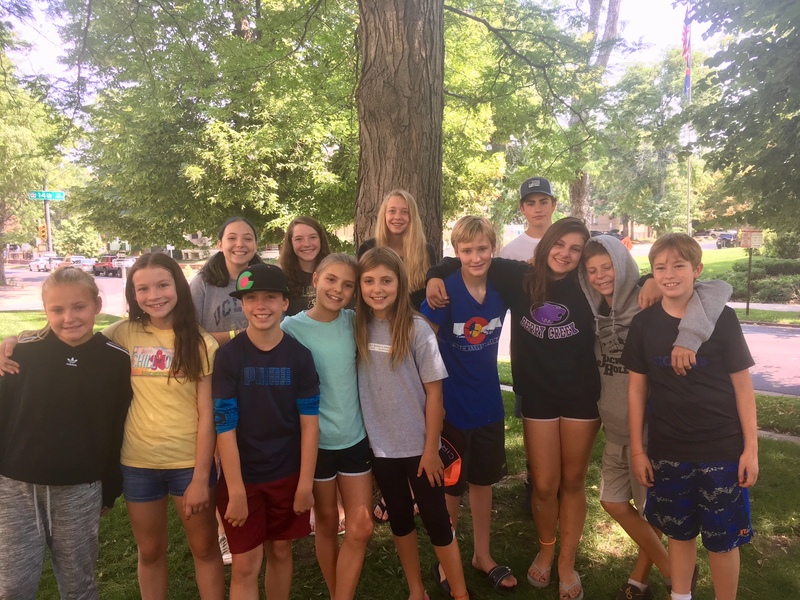 We are partnering with other Colorado Episcopal churches to offer two YES (Young Episcopalians in Service) trips in the summer of 2019. The trip details are below, as are the dates and times for our youth mission fundraiser and training meetings. All youth who participate in a mission trip are expected to participate in group fundraising efforts, attend training meetings, and work collaboratively with the youth minister to create a short group presentation about their experience after the trip. Please contact Rebecca Cotton with any questions or concerns you may have! Please note that this trip is scheduled during the last full week of the ECS calendar. If you would be interested in an ECOT-only high school trip from June 16-21, 2019, please fill out this form by Sunday, December 23rd. Application Deadline: January 30th. Please bear in mind that trips fill on a first-come, first-served basis. You read that right! We’re hosting the in-state trip next summer!! Application Deadline: February 28th. Please bear in mind that trips fill on a first-come, first-served basis. Tuesday, Mar 5th – Shrove Tuesday Pancake Supper and Youth Mission Fundraiser, 4-7:30 pm, Edwards Interfaith Chapel. Youth can work a 2 hr shift. *Please talk to Rebecca promptly if you have a conflict with any of these meetings. Thanks! If you are concerned about your ability to pay the missioner cost for a trip, please speak to Rebecca Cotton. We do have some scholarships available, and don’t want anyone to chose not to participate simply because of cost! Registration for both trips will open soon. Parents, please speak to Rebecca Cotton if you or someone you know is interested in serving as a chaperone! Additional questions/comments/concerns? Please talk to Rebecca Cotton!